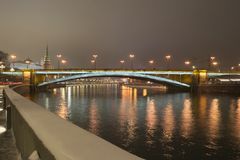 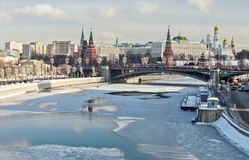 Bolshoy Kamenny Bridge, Moscow River and Moscow Kremlin. 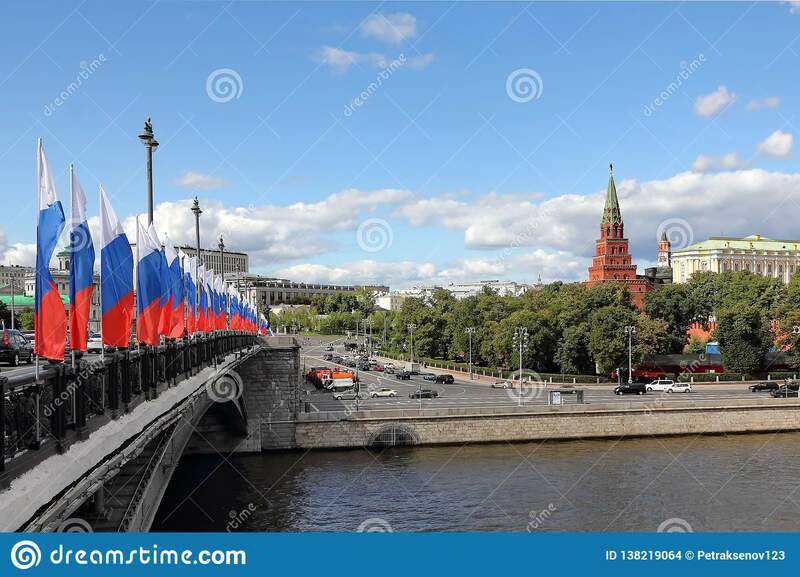 The Bolshoy Kamenny Bridge was built in 1938 slightly downstream engineer N. Ya. 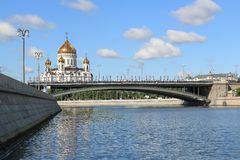 Kalmykov, architects V. A. Shchuko, V. G. Gelfreikh, M. A. Minkus. 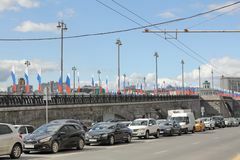 The bridge was moved to Borovitskaya Square, because the narrow river Lazyvka made it difficult to reach it. 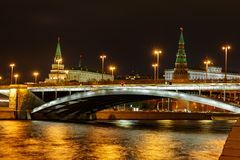 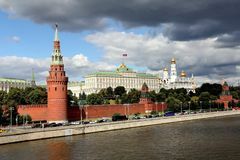 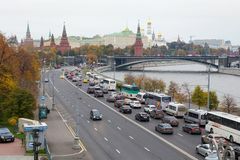 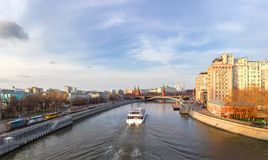 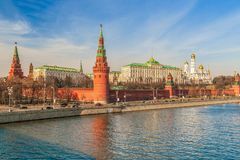 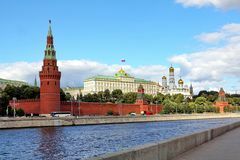 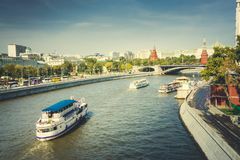 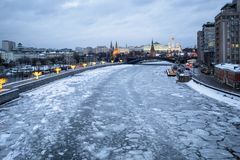 The length of the bridge with entrances is 487 meters, width 40 m. At present, the bridge overlooks the Kremlin, the Cathedral of Christ the Savior, “House on the Embankment”, the Kremlin, Bersenevskaya, Prechistenskaya and Sofia embankments.